All my life I’ve thought I hated pie crust. You know, because it’s kind of limp and not super flavorful and the stuff IN the pie is just always so much better, why would you bother with crust? Well, I’ve had an epiphany. I hated pie crust because it’s really hard to get it to bake correctly underneath all that filling, but when you get it right it’s actually flakey and crispy and beautifully delicious! 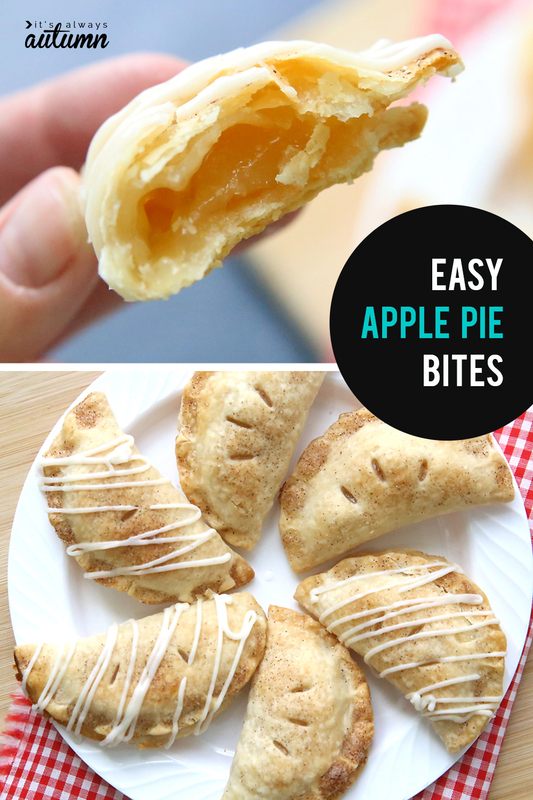 To tell you the truth, I still don’t know how to make pie crust under an actual pie taste amazing, but I have found the perfect apple pie hack: instead of a whole pie you can make individual apple pies, which I’m calling apple pie bites (aka apple hand pies). 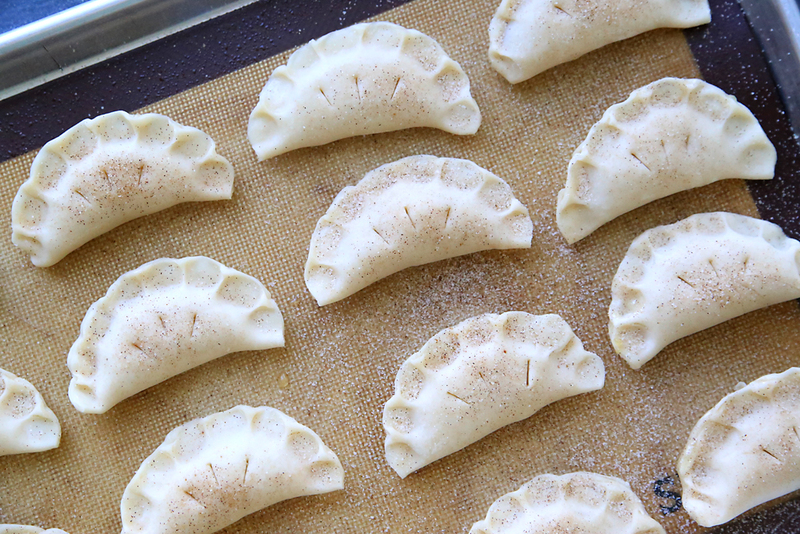 Since they are cooked individually without sitting under a ton of wet filling they crisp up beautifully for the perfect flakey bite every time! And they’re easy as can be! I’m usually a from-scratch kind of girl (don’t get me started on store-bought cookies) but I don’t mind using the occasional cake mix of premade pie filling if it’s going to taste good. 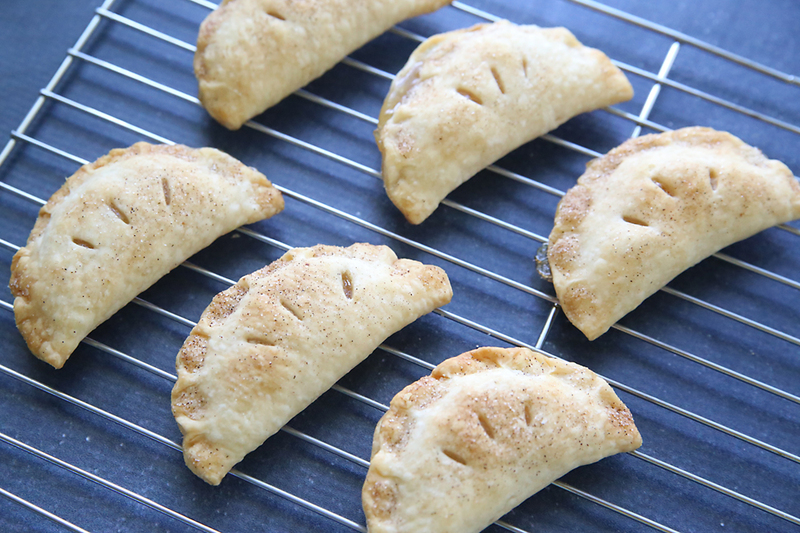 This individual serving apple pie recipe (also known as apple hand pies) is made with canned apple filling AND refrigerated pie crust, making it dead simple, and they still taste great! 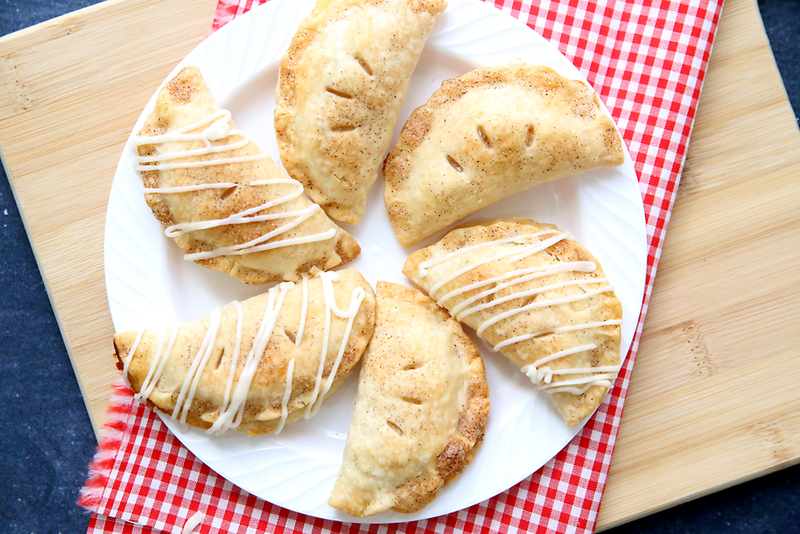 These individual apple pies are just so perfectly flakey. 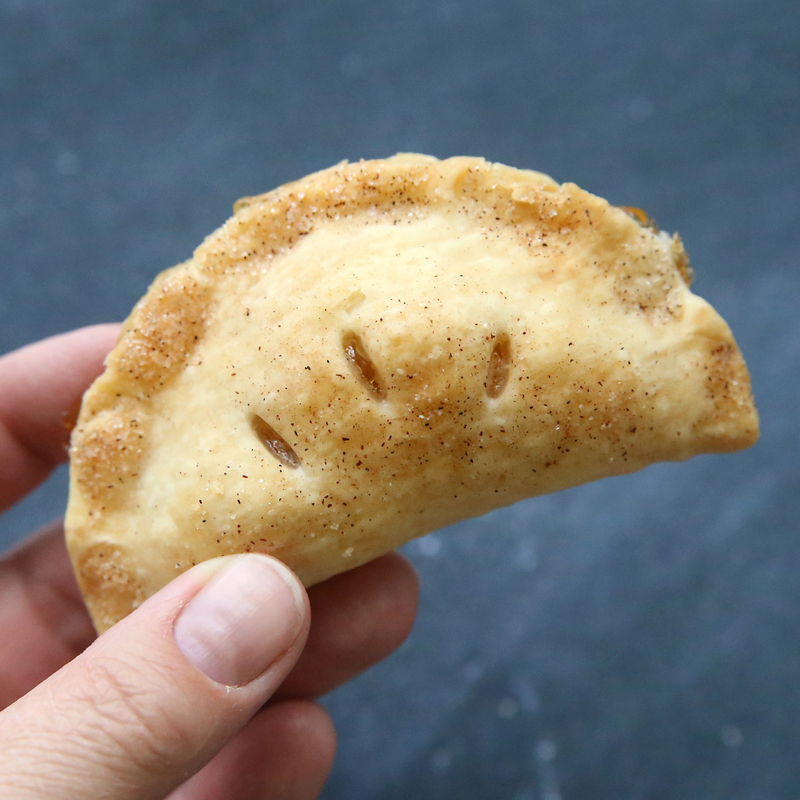 The process is simple: just unroll your pie crust and cut it into 3.5 inch circles with a cookie cutter or the top of a large cup. 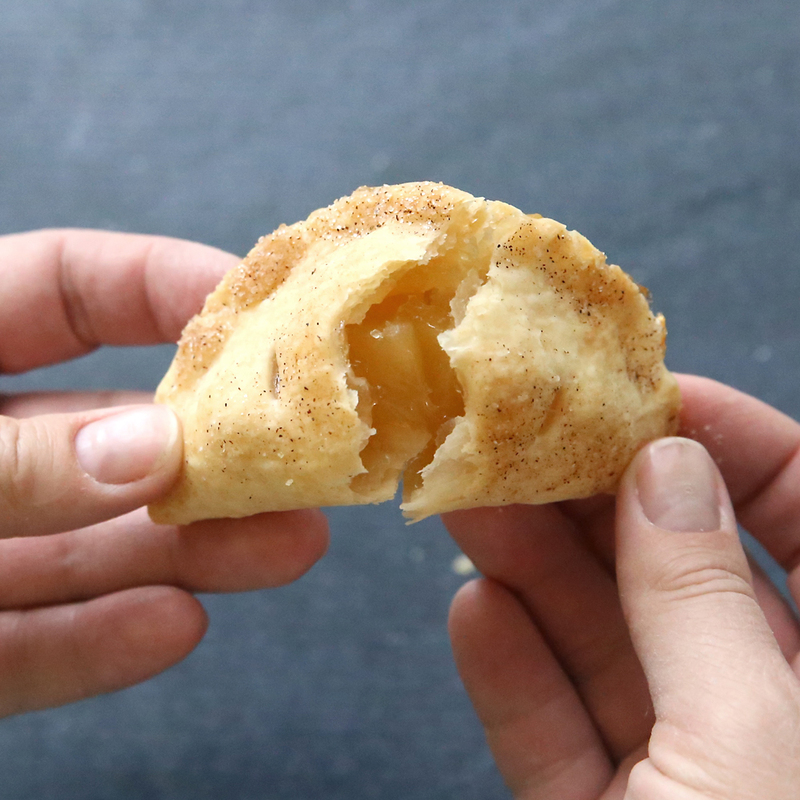 Then add a nice slice of apple to each circle from a can of apple pie filling, fold the crust over, and pinch closed to make these nice little bites. 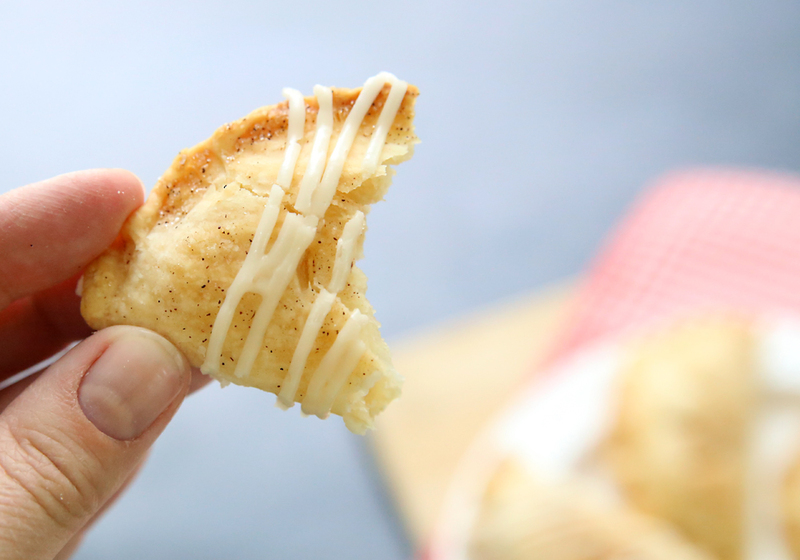 I sprayed the bites with a bit of non-stick spray and sprinkled them with cinnamon sugar, then poked a few holes in each one. Bake for 20 minutes and you’re done! « 9 fantastic books that are better than the movie! 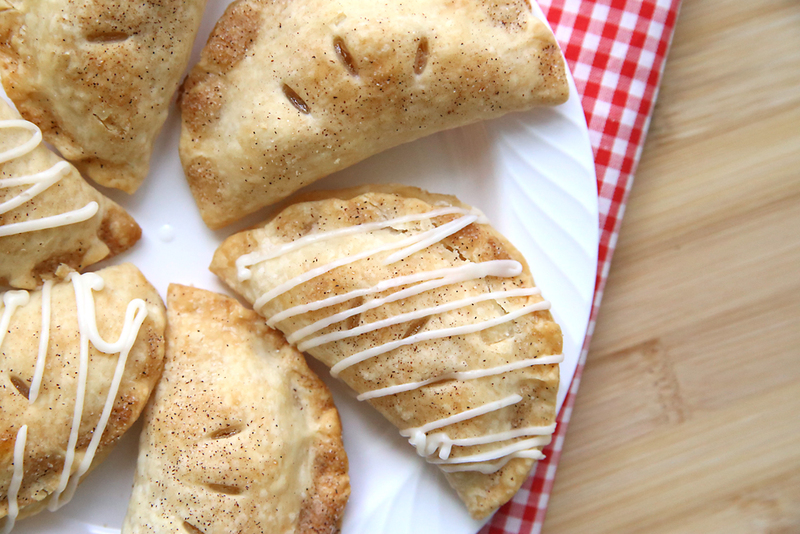 These refrigerated individual pie crusts are the best! I also use them for my “home made” (LOL!) chicken pot pie! Looks easy and fun, I may try them soon. I would need to eat hot out of the oven with ice cream of course.